Two of the most common types of roofs used in both commercial and residential applications are flat roofs and gable roofs. While each type of roof has its own benefits, the real question comes down to the differences between the two when it comes to repairs. Here we will compare and contrast flat and gable roof repair, so you can have a better understanding of which type of roof is best for your building. While they are most common on homes, gable roofs can also be used for commercial buildings. They are better known as peaked or pitched roofs, and are one of the most common types of roof found in the U.S. Gable roofs are easily recognizable due to their triangular shape. Pros: The benefit of having a gable roof is that it easily sheds water and snow, reducing the risk of leaks. They also provide better ventilation, which reduces moisture accumulation and mold growth. Cons: While their pitched shape allows for better water drainage, the frame of a gable roof can easily collapse when exposed to high winds. Gable roofs are also susceptible to material loss from high winds, as shingles or roofing tiles can easily be ripped off. A gable roof with too much overhang can allow wind to reach underneath the roofing materials, and cause the roof to completely detach. Ultimately, gable roofs are best suited for areas without high winds or hurricanes. They will, however, do well in areas with extensive rain or snowfall. The most common application for flat roofs is in commercial use. Flat roofs only have a slight pitch which allows for drainage. While they are usually used for commercial buildings, they can be seen on residential houses, generally as extra outdoor living space. Pros: Flat roofs are generally a great option for commercial buildings as they are much easier to install than a pitched roof. They conceal outdoor HVAC units well, and can easily be fitted with solar panels. They also require less building materials than pitched roofs, making them a more cost-effective option. Since the roof is flat, there is also very little risk of damage from high winds. Cons: While flat roofs are easier to construct, they require extensive maintenance in order to maintain the integrity of the roof. Even though they have a slight pitch, flat roofs are susceptible to ponding water, leaks, and possible collapse. In general, flat roofs are a great option for commercial buildings, but cannot handle extensive rain or snowfall. If you live in an area that experiences these conditions, you must perform regular maintenance in order to prevent ponding water and extensive roof damage or collapse. While flat roofs and gable roofs each have their own unique benefits, it is important to factor in repairs before making your selection. As mentioned earlier, the area in which you live is a huge factor in determining what kind of roof you should have installed. Gable roofs will require extra supports to ensure that the roof does not detach or collapse under high wind. Gable roofs require more building materials, so depending on the damage, repairs could be costly. They are also harder to access, making repairs more tedious. Flat roofs are generally easier to repair because of their accessibility. 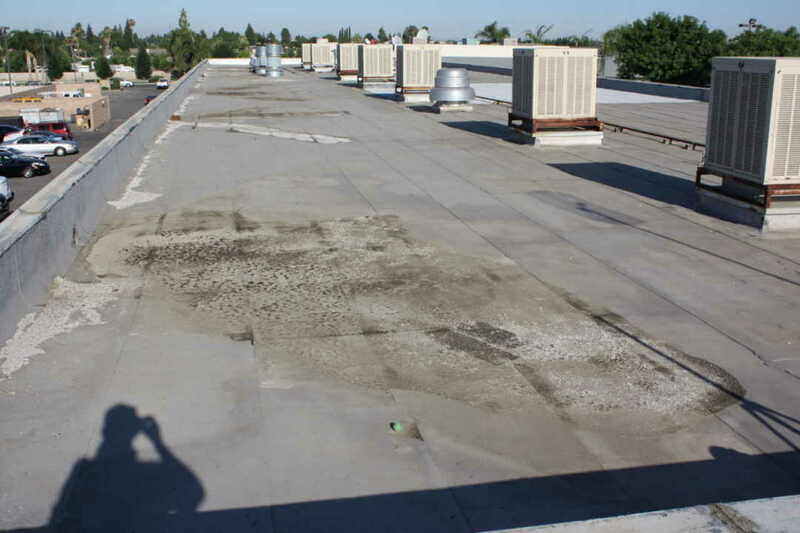 The key to flat roof repairs, however, is ongoing maintenance. Flat roofs are cheaper to construct, but if they are not regularly maintained, ponding water and leaks can result in roof collapse and total loss. This is extremely costly, and also dangerous for anyone working inside of the building. While having to make repairs on any roof is frustrating, the key to reducing this stress is regular maintenance and care. To learn more about maintaining your flat, contact us today!